On the plus side, my website no longer points to the crappy site that sitebuilder stopped supporting. Turns out that when you opened my old website with any browser other than Explorer, half the images were missing and a third of the verbiage. Nice. It was just random phrases and occasional pictures floating on a naked background. Which sounds far more exciting than it was. In truth it was just crappy and embarrasing, the inside of a casino in daylight. Right. 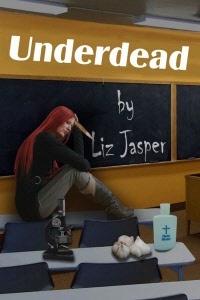 So this is my first blog on the new site that someday will be what people are directed to when they look for lizjasper.com. In the meantime, just we evil gremlins and cranky writers here, waiting for brilliance to strike at yahoo’s nameservers. 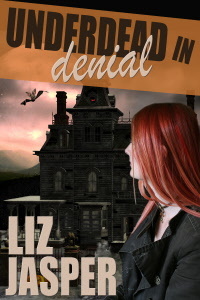 This entry was posted in Uncategorized and tagged cozy mystery, EPIC, EPPIE, funny, funny mystery, humor, humorous mystery, liz jasper, liz jasper author, liz jasper writer, mystery, paranormal mystery, underdead, underdead in denial, vampire, vampire mystery. Bookmark the permalink.